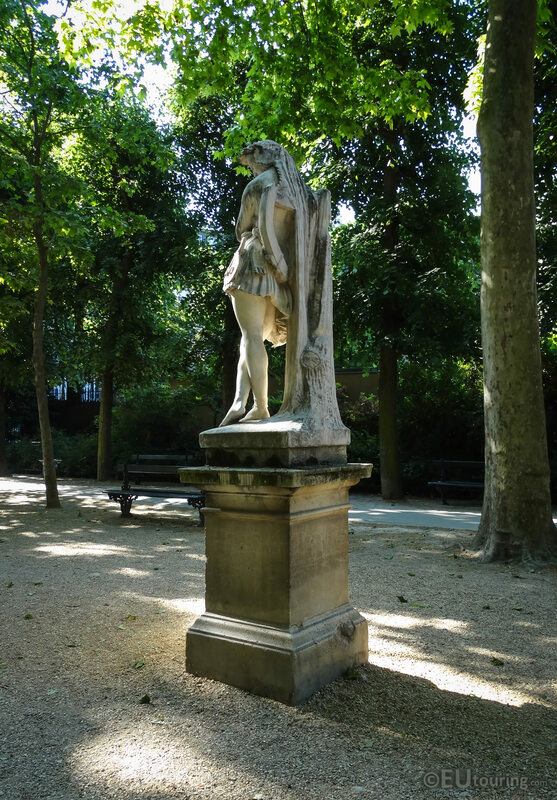 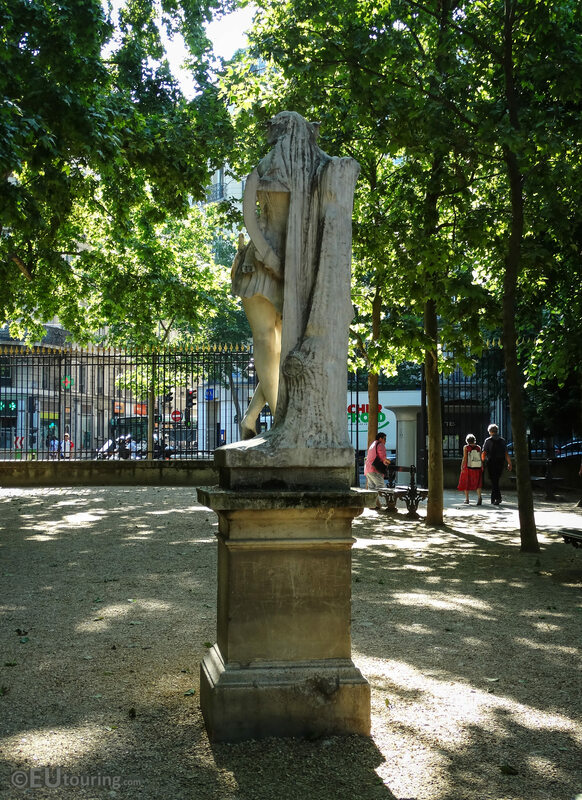 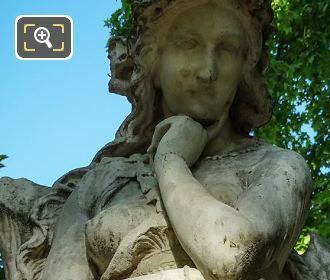 This time while we were within the Jardin du Luxembourg, which is located in the 6th Arrondissement of Paris, we took these high definition photos showing the statue of Velleda by the artist Hippolyte Maindron. 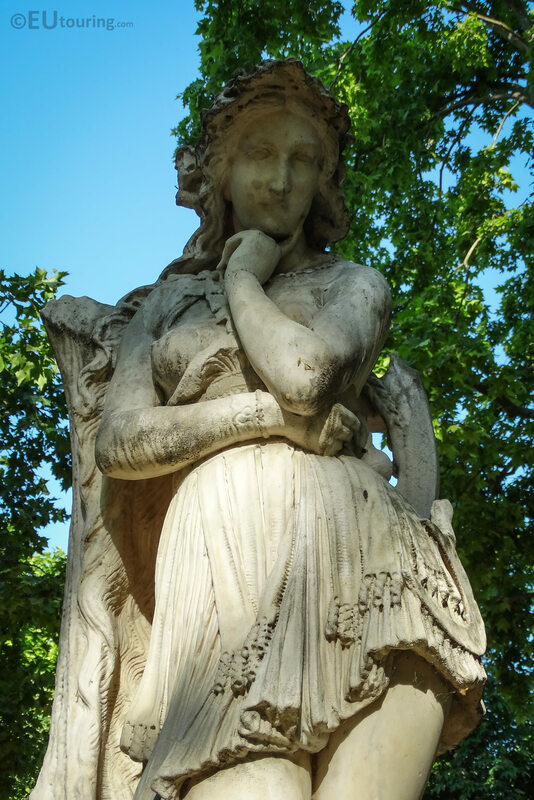 So in this first HD photo you can see the marble statue of Velleda, also spelt Veleda, and this stands at a height of 1.95 metres, not including its stone base, which was originally produced in plaster and presented at the 1839 Paris Salon. 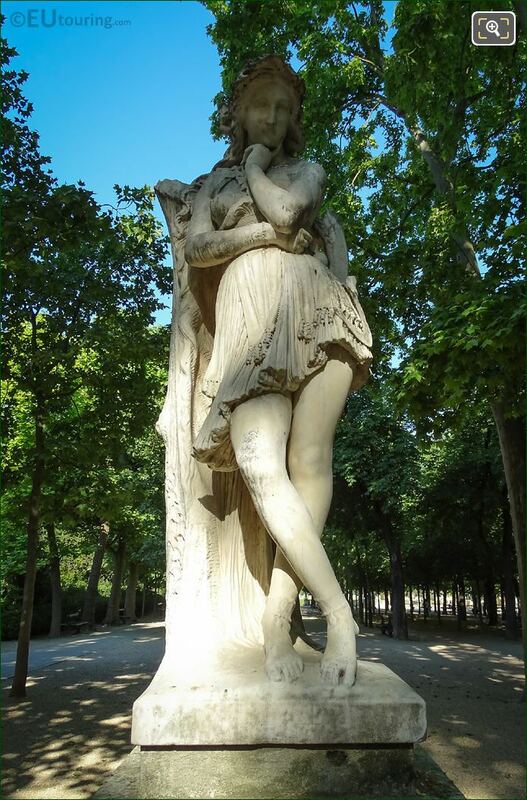 The work itself was deemed exceedingly successful and being one of the first romantic sculptures, it brought the artist, Etienne Hippolyte Maindron instant fame, and the French State commissioned the artist to produce this in marble via an order dated 6th January 1843 for the sum of 12,000 French Francs. 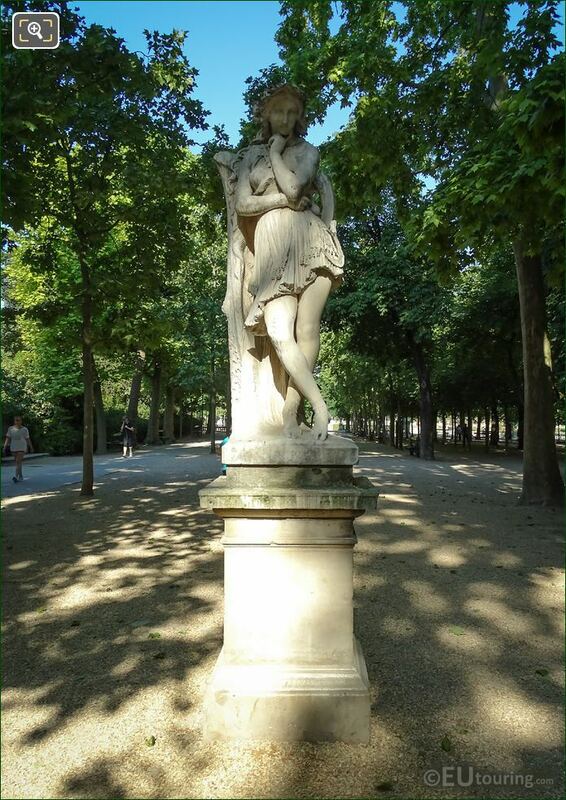 And so the marble statue was completed in 1844 and presented at the Salon the same year, numbered 2254, before then being placed within the famous tourist attraction in Paris of the Luxembourg Gardens, which is a free public park enjoyed by locals as well as visitors and has numerous sculptures, monuments and statues to discover. 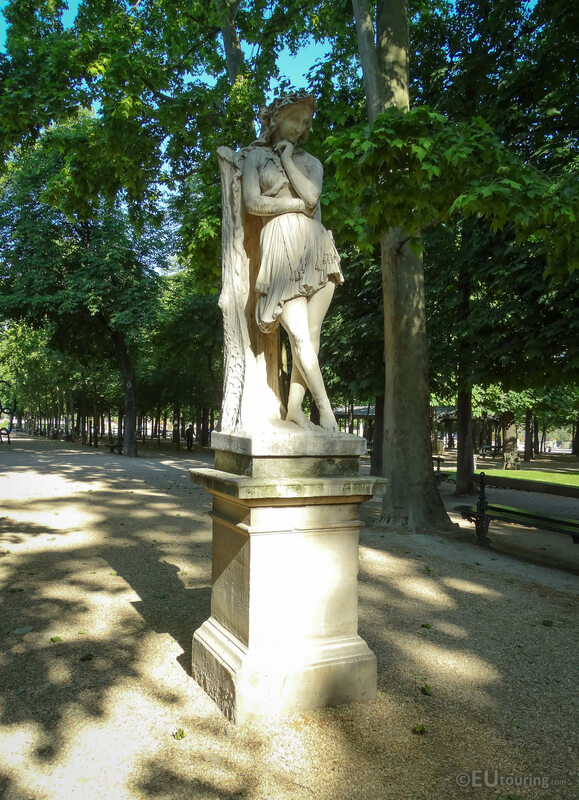 Now Etienne Hippolyte Maindron was born in 1801 and went to Paris to study under David d'Angers and started exhibiting at Salons for French artists, yet the statue of Velleda was his first major success, although he did do some works for The Pantheon during the Second Empire, and he passed away in the capital city in 1884. According to different sources, the sculptor took his inspiration from a book published called Martyrs de Chateaubriand and followed the description of the girl, being tall and wearing a short tunic, yet apparently, with the softness you can see in this close up photo, the author commented that the statue made the girl look more beautiful than what she was meant to be. So, the story that Hippolyte Maindron took his inspiration from was based upon a girl that got imprisoned, yet fell in love with her jailer, and the jailer decided to release her to avoid an embarrassing situation. 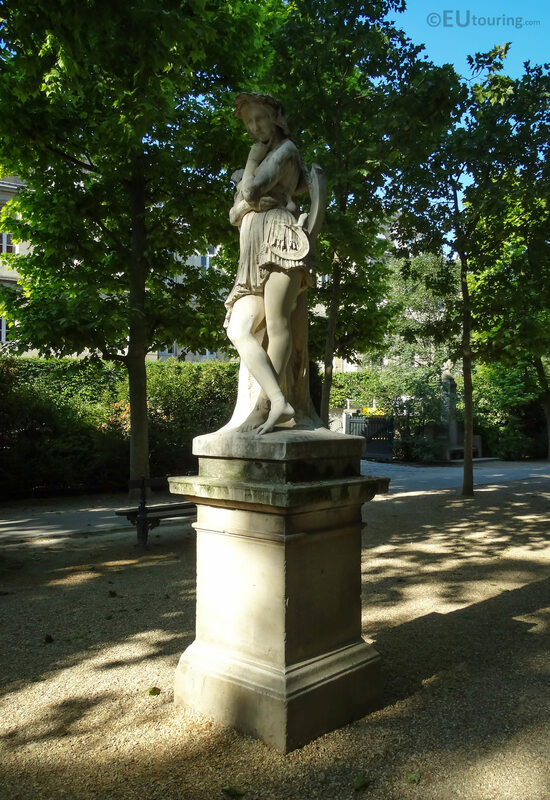 But Veleda returned to the prison waiting for him, leaning against a tree, which is how this marble statue is depicted, as you can see for this photograph taken of the back. 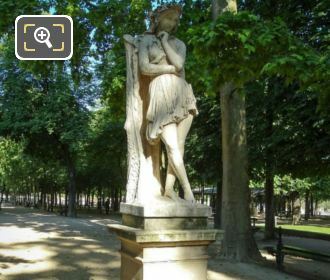 And in this last image showing the statue of Velleda, you can also see there is a sickle hanging from her side, and this was also written in the book as a golden sickle that this French sculptor also added into the sculpture, and again in the book, this was the last time that Veleda stood leaning on the tree looking at the prison walls before killing herself.